Wooda Farm Holiday Park es un camping en Bude, Cornualles. Este camping con terreno inclinado tiene plazas con cercos, sin sombra y parcelas con algo de sombra. Cabe alquilar caravanas fijas y bungalós. El camping dispone de parque de recreo y parque de recreo de interior. No tendrá que cocinar todos los días, porque en el camping hay snackbar y restaurante de autoservicio. En el camping podrá adquirir pan fresco. Es posible utilizar el internet, pues en el 80% del camping se puede navegar por internet con el ordenator portátil. Este inspector visita cada año al Wooda Farm Holiday Park y lo inspecciona considerando más de 200 servicios y otros aspectos importantes. El inspector es un trabajador de ACSI y no trabaja para el camping. an immaculate site in beautiful surroudings,Wooda has everything for a restful holiday. Fishing,golf,walking and more are all availabe at this friendly campsite. A bar and restaurant on site plus a local pub just down the road caters for the hungry and thirsty camper.There is also a very good takeaway.Very obliging staff in the bright reception make this agreat place for a holiday just over a mile from the sea. Outstanding site. Great location, helpful friendly staff. Well maintained facilities & ground. Nice pitches with generous gravel area for parking and similar sized grassed area. Pitches separated by neatly trimmed hedges with makes it feel more private and tranquil. Walks to Bude and along the coastal paths are good. Highly recommended. Cannot fault this site, spectacular views across to Bude with extremely wide pitches sectioned off by hedges giving complete privacy. Using ACSI we only paid the CampingCard tarief night which is outstanding value for money. Highly recommend. This is a beautiful campsite just two miles outside of Bude. The pitches are reasonably level and there are some 'premier' pitches with water and drainage. The staff are very friendly and helpful, the toilet facilities are immaculate, even have washing up liquid by the dishwashing sinks. There is a freezer for ice packs for campers as well as a couple of microwaves for guests use. Lots of activities on site including pitch and putt at additional cost. Dog walking field very well kept too. We went for a short break just before the Spring Bank Holiday and had a very restful few days. There is a small shop on site which serves fresh bread and newspapers as well as essentials. Large Morrisons with fuel station a ten minute drive away - there's also a Sainsburys in Bude but it wasn't as nice. Port Issac and Boscastle within an hours drive. Lovely site in a great setting - perfect for visiting the North Cornwall area or Dartmoor. Very friendly welcome at reception. Nice level grass pitch for our tent - spacious and delimited with hedges. Toilets/showers block was spotlessly clean - plenty of hot water. We would definitely recommend this site. ¿Desea reservar u obtener más información sobre su Wooda Farm Holiday Park? Puede hacerlo mediante los datos siguientes. A39, al norte de Bude (dir. Bideford). Después de 4 km a izq. dir. Poughill y Stibb. El camping está bien indicado. 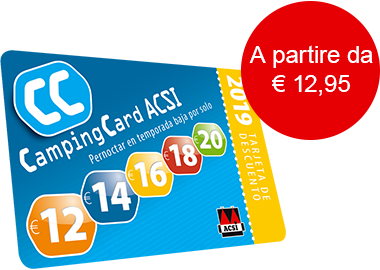 ACSI Eurocampings reenvía su solicitud de información al "Wooda Farm Holiday Park".